The Ultimate Guide to the Daniel Fast is an inspiring resource for Christians who want to pursue a more intimate relationship with God through the 21-day commitment to prayer and fasting known as the Daniel Fast. As you deny yourself certain foods such as sugars, processed ingredients, and solid fats you will not only embrace healthier eating habits, you ll also discover a greater awareness of God s presence. 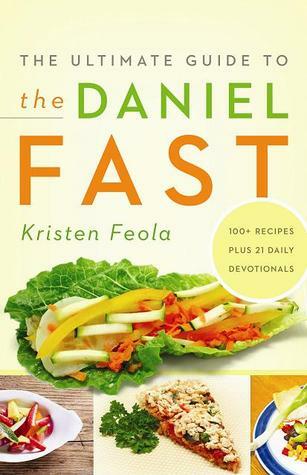 Author Kristen Feola explains the Daniel Fast in easy-to-understand language, provides 21 thought-provoking devotionals for each day of the fast, and shares more than 100 tasty, easy-to-make recipes that follow fasting guidelines. In a conversational style, Feola helps you structure the fast so you can spend less time thinking about what to eat and more time focusing on God. You will also discover that to fast means to feast on the only thing that truly nourishes?God s powerful Word. Kristen Feola is the author of the best-selling book, The Ultimate Guide to the Daniel Fast, an encouraging and engaging resource for individuals, small groups, and churches participating in the Daniel Fast. Her blog, http://www.ultimatedanielfast.com, inspires thousands of people around the world. Kristen is a frequent contributor to Pentecostal Evangel magazine, and her writing has appeared in a variety of Christian and health-related publications. She has worked as a personal trainer, fitness instructor, and nutritional consultant. Kristen lives in Springfield, Missouri, with her husband and two daughters. Cassandra's Review- The book has great recipes that are geared toward having a successful fast without starving to death. Even though I do not personally fast, I do know people who will literally starve themselves for days to make a prayer point. I would recommend this book for them especially so that they know that it is OK to eat and can do so properly during their spiritual time. The author also includes some great insight and facts they may help to guide during the process.